We arrived in Washington D.C. at close to midnight on the 2nd due to being diverted to Boston because of the severe weather here. We didn’t get to bed until like one o’clock in the morning but we did get up early. We had breakfast in the hotel. I had crepes with Nutella. I wish they had Speculoos. Our Capitol Tour was at 11:40 so we had to get to the office of Congressman Ron De Santis of Florida by 10:10 am which we did. 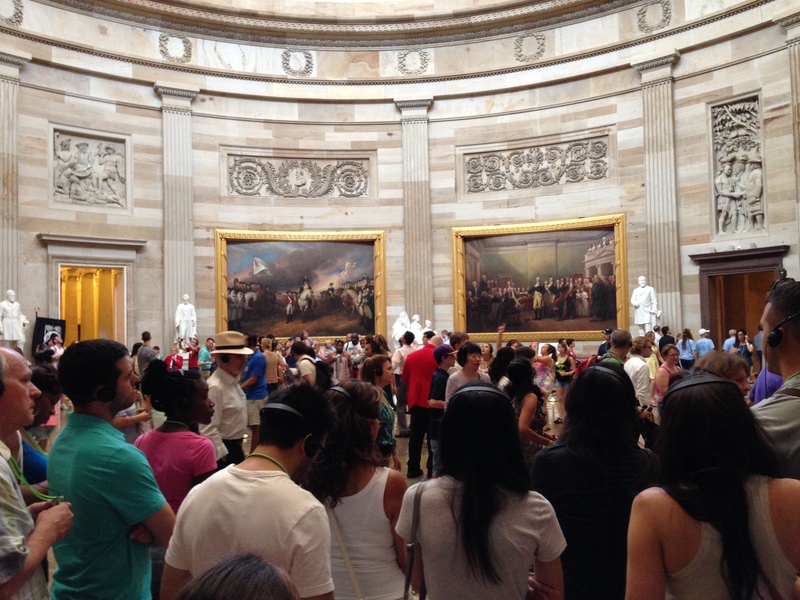 Our tour took in the Capitol crypt, Rotunda and Old House chambers. Later we went to the House Gallery but no photos were allowed. 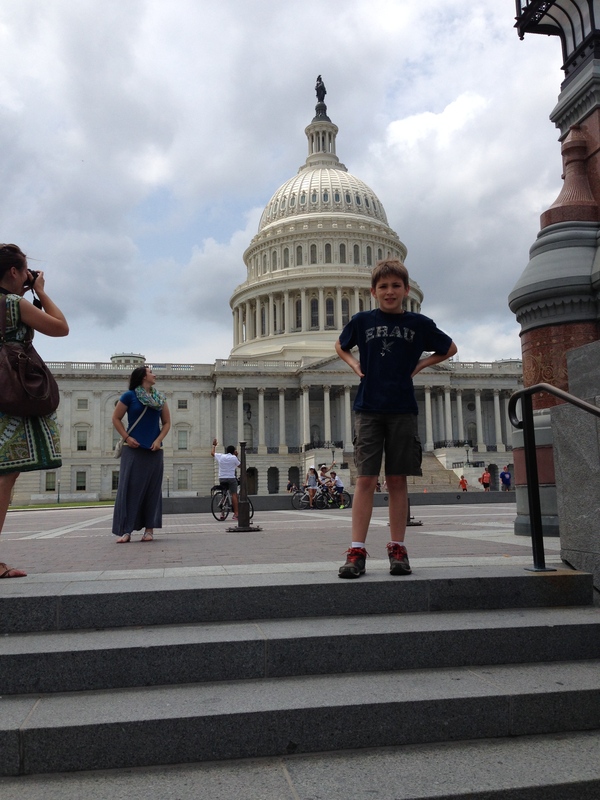 They also showed us a film about Congress, the Capitol building and its history. 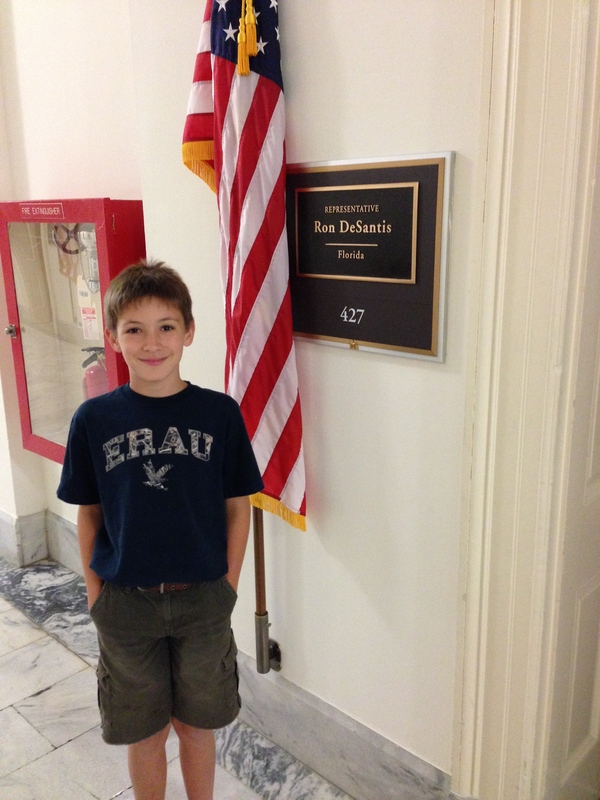 This is the office of our Congressman, Ron De Santis (R-6th District of Florida). We arranged our Capitol Tour tickets through his office. Thanks to Mary and Charlie. Inside the Capitol Rotunda. Lots of different tour groups. 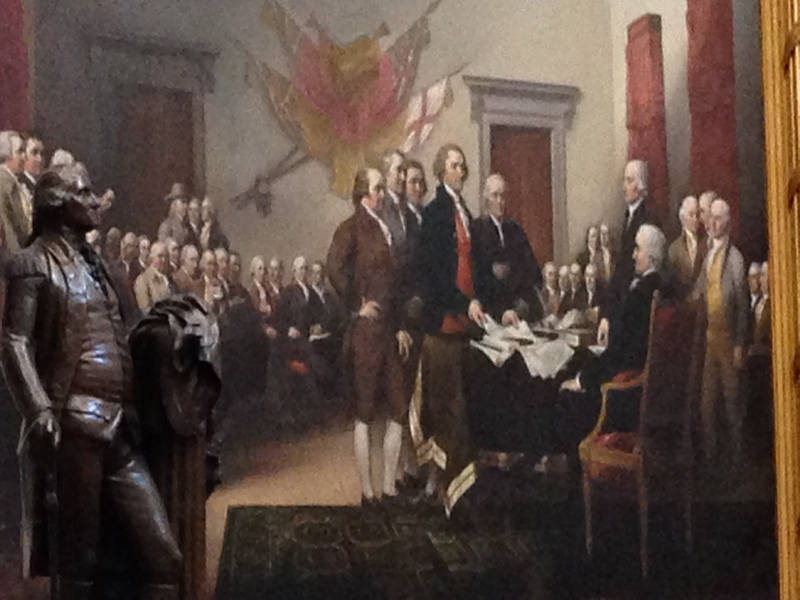 This painting depicts the moment on June 28, 1776, when the first draft of the Declaration of Independence was presented to the Second Continental Congress. This is the first completed painting of four Revolutionary-era scenes that the U.S. Congress commissioned from John Trumbull (1756–1843) in 1817. 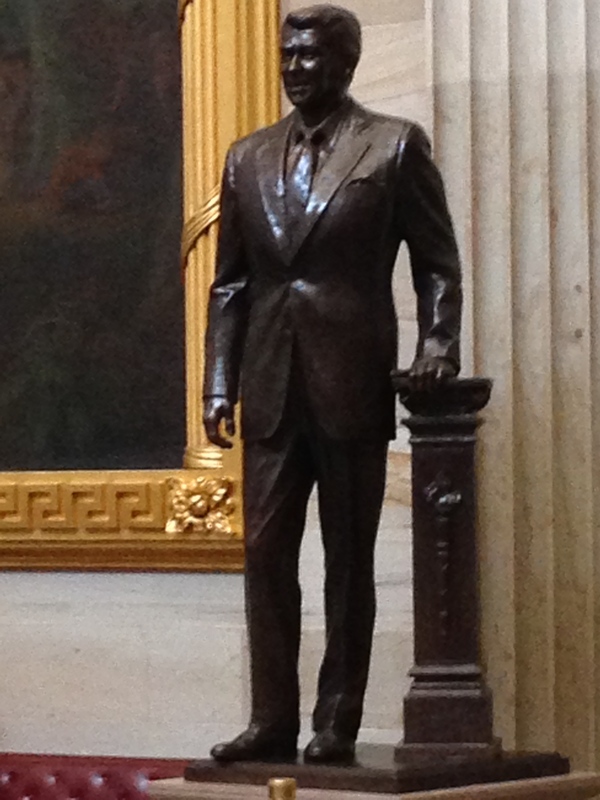 In the Capitol Rotunda there is this statute of President Ronald Reagan. The Capitol of the United States of America. Makes you proud to be an American especially on July 4th, our Independence Day. After the tour we walked down to the Air and Space Museum which we walked around. I have been to the one at Dulles and it is much better because it has an SR-71 Blackbird and a complete Space Shuttle. 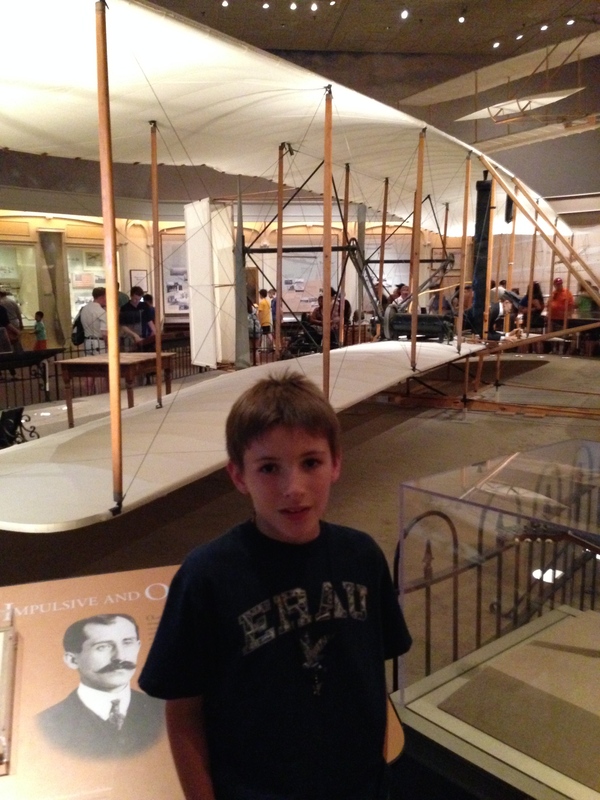 But they had the Wright Bros. 1902 Glider here. This is the Wright Brothers glider that flew at Ktty Hawk in 1902. That evening we had dinner at The Old Ebbitt Grill across from the Treasury Building. This is Frederick and today, July 4th, we are going to watch some of the parade on Constitution Avenue before we come back and watch France V. Germany and Brazil V. Columbia in the World Cup. Posted by: fredericklillywhite Tags: Air & Space Museum, Old Ebbitt Grill, Ron De Santis, The U.S. Capitol, Washington D.C.